James Cole is a retired partner with Quarles & Brady. He practiced in the intellectual property and commercial litigation areas. He was a respected litigation attorney and a skilled mediator of intellectual property, commercial, construction and media disputes. Mr. Cole's experience in open court and behind the closed doors of the negotiating room enabled him to guide disputing parties through many of the legal and procedural pitfalls, holdups and blockades that could prevent effective resolution of their disagreements. He had deep, direct experience in intellectual property matters that affected a wide range of industries. Among other cases, Mr. Cole helped resolve disputes involving technology companies, medical equipment manufacturers, pharmaceutical companies, biotech firms, banks and financial institutions, trade associations and construction contractors. He was admitted pro hac vice in California, Florida, Kansas, Michigan, Minnesota, Ohio, Pennsylvania and Texas. 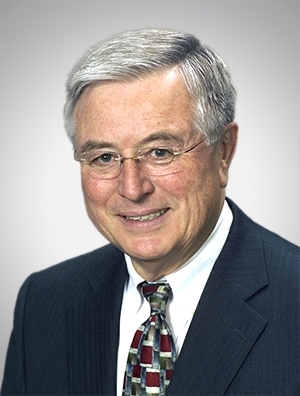 As a mediator, Mr. Cole was certified by the Franklin Pierce Law Center, which focused its training on mediation skills for intellectual property and commercial disputes, and regularly participated in mediation workshops for legal and industry professionals. Lead defense counsel for the provider of wireless communication (WI FI) devices accused of patent infringement (130 products). Defense of a software design firm in a claim made against it and its customer, a University Medical Foundation for alleged misappropriation of trade secrets in software for large medical practice groups. Summary judgment successfully granted upon completion of discovery dismissing all plaintiff claims. Dismissal of trade secret claim affirmed by Court of Appeals for the Seventh Circuit, remanded on other grounds. Representation of a bio-tech company in the defense of patent infringement claims, successfully obtaining a jury verdict of invalidity and unenforceability of the opponent's two patents-in-suit with claims directed to a method and kit for coupling transcription and translation from DNA into protein. The case was favorably settled following post-verdict motions and pending an appeal to the U.S. Court of Appeals for the Federal Circuit. Lead defense counsel for a national trade association comprised of 10,000 credit unions in a claim of trademark infringement brought by a regional bank holding company. Representation of a manufacturer and an importer in a two-week trial at the International Trade Commission in Washington, D.C. charged with patent infringement of several patent claims for "lens fitted film packages," disposable, one-use cameras. Representation of an auto parts manufacturer in a patent declaratory judgment action. Jury trial resulting in determination of invalidity of opponent's radial seal air filter patent which had been through two re-examinations. Verdict also found noninfringement by manufacturer. Judgment affirmed by the Court of Appeals for the Federal Circuit. Certiorari denied by the U.S. Supreme Court. Patent infringement action. Prosecution of action for patent infringement related to a high-speed surgical drill/tool bit. Defense of patent infringement action. Participation in Joint Defense Group defending claims against multiple parties alleged to infringe patents covering PC modem cards. Copyright infringement claims. Prosecution of seven separate actions for copyright infringement of sales brochures for diabetic supplies. Declaratory judgment action/patent infringement claims. Defense of declaratory judgment action seeking invalidity of patent directed to an aquarium cleaning and re-filling device. Prosecution of action for infringement of those claims. Representation of a manufacturer in a declaratory judgment action and defense of crossclaims for invalidity of client's patents and infringement of opponent's patents directed to bone densitometers. Representation of a contractor in a two-week arbitration trial in a three-way dispute including subcontractors and a state Department of Transportation. Construction claim case successfully seeking compensation for state imposed delays in the erection of a 1,070 foot Arch Span Bridge. Representation of a contractor in twenty-one days of three-way arbitration trial in a construction claim case successfully seeking compensation for delay losses and productivity losses arising from the construction of an Office Center and Theater District project.